Even though the sun has finally come out here in London, I’m still down below in the dungeon working on my dissertation for a couple more months. The concrete wall outside my window isn’t particularly inspiring, but these pretty cement-colored nail polishes certainly are. 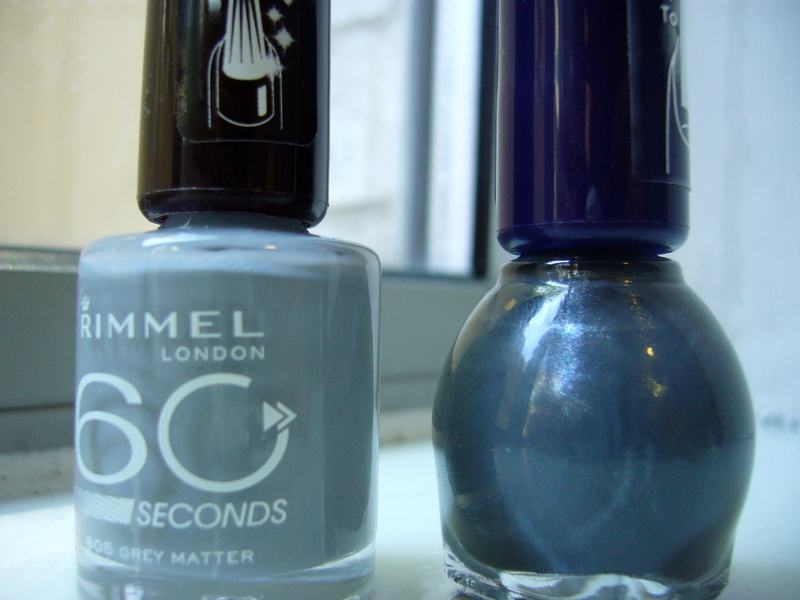 This entry was posted in Beauty & Grooming and tagged miss sporty, rimmel. Bookmark the permalink.